Hey guys, today we are going to talk about Cheetara Kodi Addon. 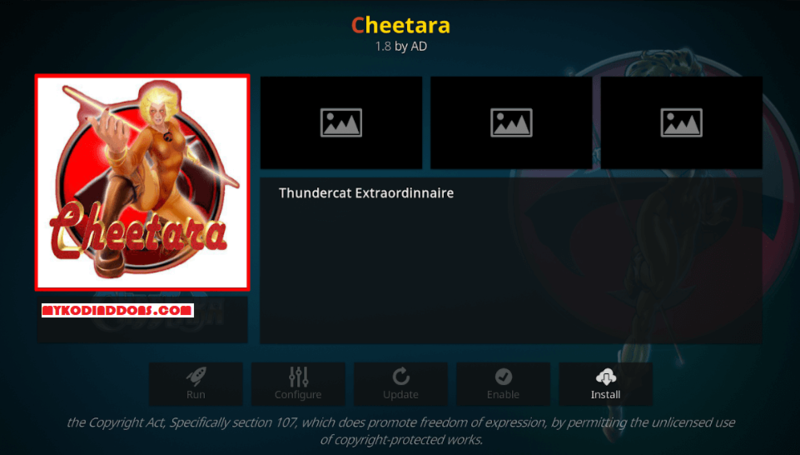 Cheetara is popular Kids addon to watch Movies, TV Shows, Cartoon and more. Addon from Hellhounds Repository allows you to play your favorite content at one click. Navigation is simple and all the categories are well organized hence you should not face any problem in finding content on the addon. Cheetara is now installed and ready to use.